Right now at Plum District, you can get $30 to spend at thredUP for only $12! To get this price, use the code pdbday at checkout. 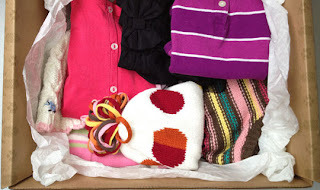 thredUP is an online kids consignment shop, where you can save money (and time!) on all your favorite children's clothing brands. You'll find GAP, Gymboree, Mini Boden, Ralph Lauren, Old Navy and much more at up to 75% off retail prices. Prices start at just $2.49!